In 1899 the British Admiralty approved the addition of a white disc, containing the existing four red stars, to the New Zealand Blue Ensign. This flag was supposed to be used at sea only but it soon came to be used on land. 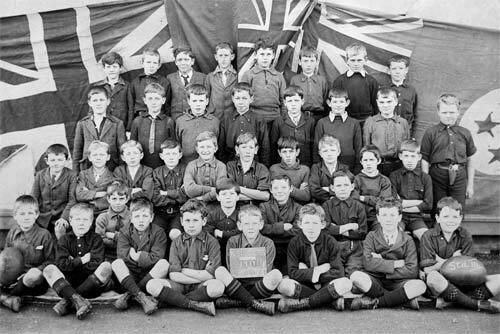 An example is shown in the background (right-hand side) of this Remuera District School class photo, taken in 1917.